Pharmaceutical industry is a quality critical industry because it has a close tie with people's life and health. Vision inspecting system is often applied on the assembly line. 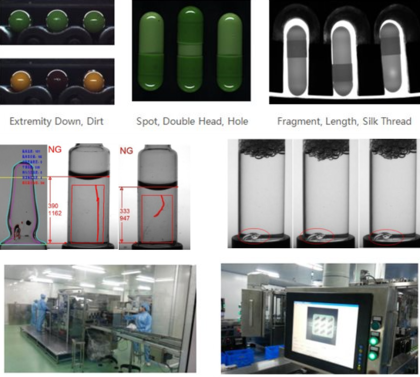 The typical inspected objects usually include capsule, injection, bubble cap, label of the package and etc. 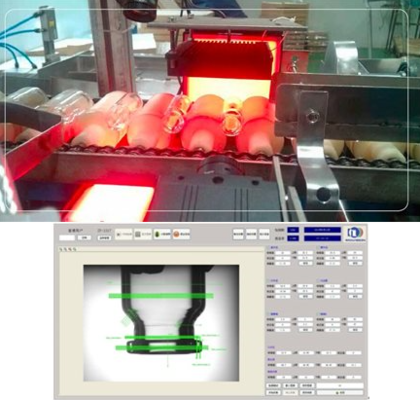 All Daheng Imaging cameras undergo thorough critical tests to ensure that they can meet the industrial and professional requirements under the tough conditions. Pharmaceutical production usually does not take place in a comfortable lab, but reliable inspection results in a tough environment are a guarantee for the drug quality. To get the reliable inspection results, Daheng Imaging cameras offer outstanding quality images with high-performance digital interfaces, as well as rapid trigger respond can ensure capture very precisely, furthermore, trigger signal filter function ensures that only the right pulses are inputted into the camera. 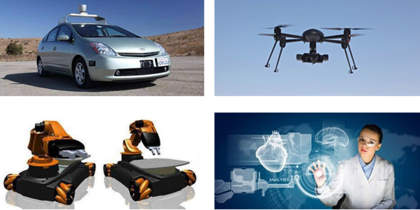 No wrong image and no missing image are the most important keys for the vision system in pharmaceutical industry. Daheng Imaging cameras are just good at that. MER-131-210U3M and MER-502-79U3M of MERCURY family have many characters such as high speed, precise capture, plug and play, stable mutil-camera running and so on. All these make them become engineer's favorite cameras in the inspection system. The MER-131-75GM-P NIR and the MER-232-48GM-P NIR are near-infrared GigE cameras which are equipped with On-Semi PYTHON CMOS sensors, the sensors have optimized response in the near-infrared band.MER-131-75GM-P NIR and the MER-232-48GM-P NIR are powered over Ethernet and have opto-isolated I/Os. 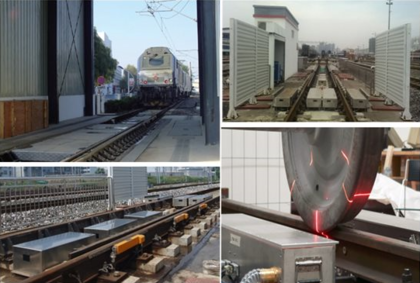 They are designed to pass critical EMC test, they have the ability to meet the electromagnetic compatibility requirement of rail traffic. b) Achieve from 2D plane grasping to 3D grasping . c)Succeed in reaching a new hand-eye calibration method even though the cameras and the robot are separated in the different field. MER-132-43U3M had been used in this 3D system. 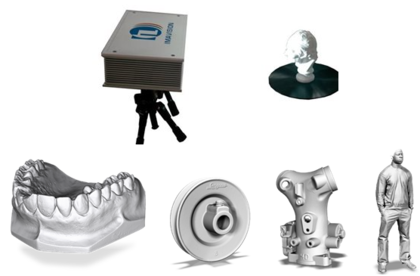 Thanks to compact size, light weight and high performance, the camera can be easily deployed under various challenging conditions and integrated into all kinds of automatic devices to accomplish machine vision tasks.